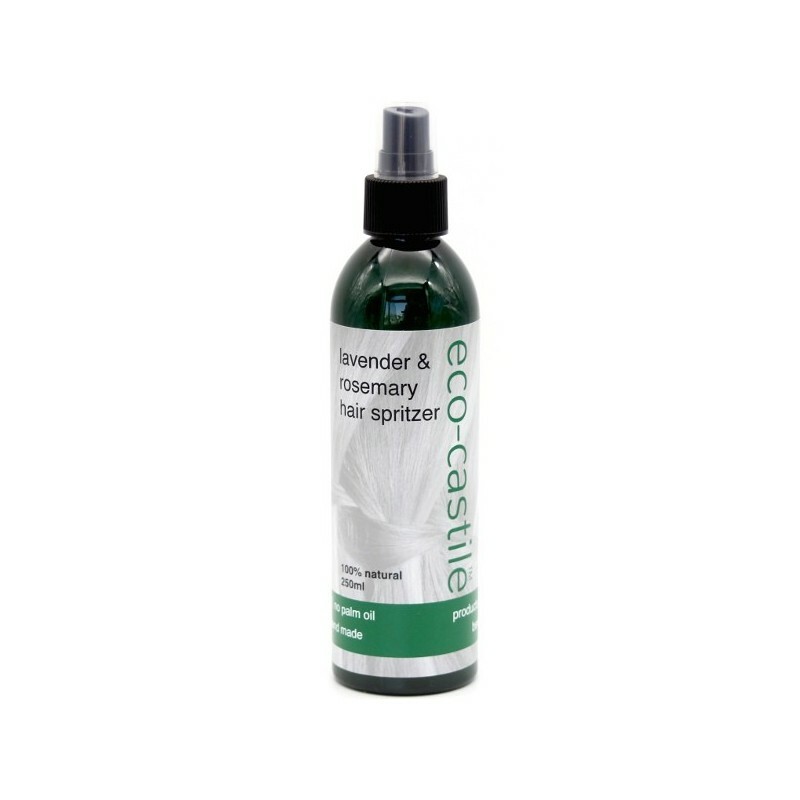 An all natural and palm oil free hair spritzer for added shine and reducing fly-aways. Apple cider vinegar and argan oil work to close and smooth the hair cuticle, while lavender and rosemary essential oils help condition hair and scalp. Vegan and cruelty free. Made in New Zealand. 250ml. Not tested on animals and contains no animal products or by-products. Apple cider vinegar conditions hair, seals the cuticle, and adds gloss and shine. Argan oil is considered a dry oil; it absorbs quickly and is non-greasy. Spray onto damp hair focusing on mid to ends of hair. 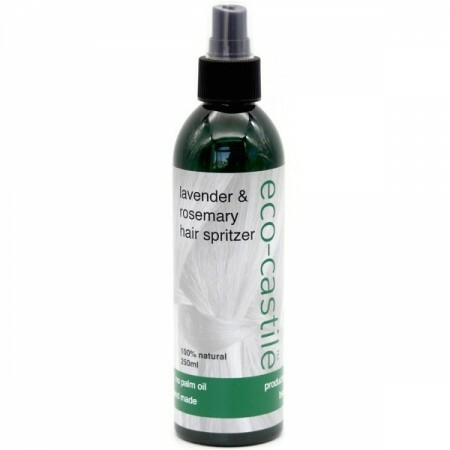 Lavender has antibacterial and antiseptic properites, while also helping soothe the scalp and treat dry hair. Rosemary essential oil has anti-oxidant, antiseptic and circulation-boosting properties, making it great for treating hair damage. Vinegar scent will disappear once dry. Aqua, apple cider vinegar, argan oil, lavender essential oil, rosemary oil. Browse our other natural hair care products.